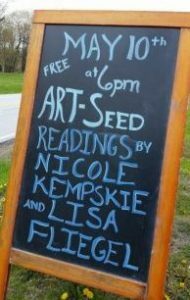 Here’s a video of my reading with new friend Nicole K.
It’s chapter one of the book (condensed maybe?) Belfast chapters don’t get broadcast/public until they are Belfast approved — one month to edit then I’m off to see if I am able to publish a trauma-informed, community empowering book! My writing and my clinical work are really all the same thing. You’re trying to get to the core to the truth of a story, trying to figure out why things turn out the way they do and how they might change for the better. In either case if people don’t trust you, you can’t do your job — so you have to figure out how to form an alliance. Here’s a snippet of how I do this in Israel/Palestine Northern Ireland. Next stop Belfast!